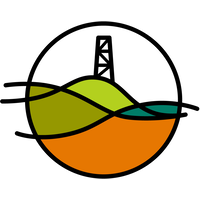 Diversified Gas & Oil an independent owner and operator of natural gas & oil wells concentrated in the Appalachian Basin in the United States. Their wells are located in Tennessee, Kentucky, Virginia, West Virginia, Ohio, Pennsylvania, and Maryland. They focus on acquiring and enhancing producing assets in this region and leveraging the operating efficiencies that come with economies of scale. DGOC is incorporated in the UK and is traded on the AIM market (London Stock Exchange).